If you are in your 20s to 30s and living in a city like New York, Washington or Austen then the chances are, that you or someone you know is an Uber User.. As clubs are open longer than public transportation Uber has become the preferred mode of transport for many partygoers and late-night drinkers. Rather than hailing down a cab or driving under the influence, Uber allows you to get from A to B efficiently and most importantly, safely with their ride-sharing service. As to be expected, a fair amount of Uber customers catch a ride home under the influence which can be both reassuring and a downright tiresome experience for passengers and drivers alike. The latter is why Uber have turned to artificial intelligence and applied for a patent with the United States Patent and Trademark Office. The idea is that it would use technology to determine the 'state' of the passengers and to cut a long story short, 'state'=sobriety. The patent will involve measuring the users' behavior on their phone via means such as location, data input speed, interface interaction behavior and other behavior traits that can be measured against usual behavior and in turn, notify drivers ahead of time, of their passenger's 'state'. This would theoretically result in passengers in a particularly uncommon state to be placed with drivers that are better equipped to handle the situation or not being placed with a driver at all. Although Uber is generally one of the safest ways for people under the influence of alcohol to travel home, the company has also run into numerous sexual assault cases with many victims being inebriated so this patent could help to put a stop that. What's more, the patent could help drivers avoid violent drunks, out of control passengers and mishaps with vomit which may lead to disagreements over additional charges. However, what is worrying is the flip side effect, that the patent could encourage predator drivers to seek out inebriated passengers to take advantage of. Additionally, people could get penalized for being tired as it may display to the driver that they are inebriated. When companies apply for patents, only a small percentage actually make it to the final product so there's no way of knowing just yet if this patent will be used in the app. 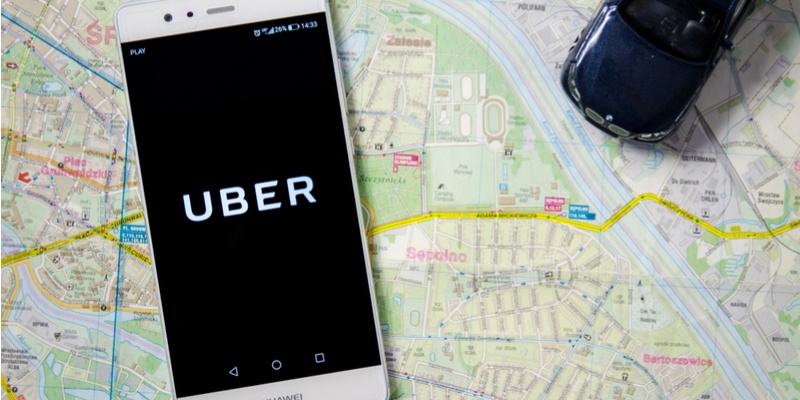 Understandably, there is a mix of emotions surrounding the latest news from Uber however for now there is not much we can do except weigh up all sides of the debate and hold tight for more information.